The biggest mobile chargers of the world have agreed on using the same charger for all their phones. This would remove the extra burden from the customers of carrying different charger for different devices. Every Mobile manufacturer provided a charger that was exclusively made for the device and could not be used on any other mobile device. So if you have more than one phone then you needed to carry different charger. But now, according to a report in The Telegraph, ten companies, including Apple, LG, Nokia, Samsung and Sony Ericsson, have submitted a Memorandum of Understanding to the European Commission pledging to start making phones that can be charged using a single charger. They have agreed on using the micro USB to connect all their devices. 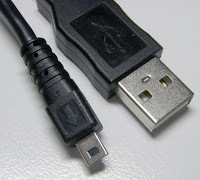 Micro USB is already very famous as it has been adopted by a wide range of electronic devices including mp3 players, chinese electronics gadgets and many more.The production of such devices will be seen only from next year. The European Commission has been putting pressure on mobile phone makers to reach an agreement on a universal charging standard in an effort to cut down on the thousands of tons of waste generated each year by the inclusion of unwanted chargers with every new handset. The GSMA, the trade organisation that represents the mobile phone industry, said that the new universal chargers will consume half as much energy when on standby as today’s charging cables.